Samsung is pushing strong to make Bixby a worthy and competitive AI assistant, but it has yet to succeed. Bixby is handy in its own ways, sure, being focused more on doing things on your phone, instead of answering questions, but it still lags behind the likes of Google Assistant and Alexa. One notable omission on Samsung's failure to integrate Bixby into the otherwise excellent Gear S3, which has both a microphone and a built-in speaker. Earlier this year, when Samsung brought SmartThings to the Gear S3—the platform that lets you control smart home devices—we were hoping that Bixby, too, would follow suit, as it would allow users to interact with smart home appliances via voice commands. Alas, this never happened. 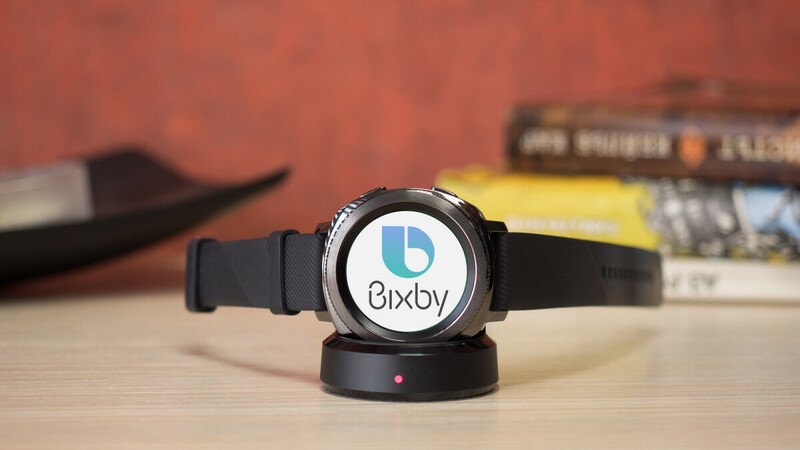 However, according to SamMobile, who claim to have received "confirmation" on the matter, the upcoming Samsung Gear S4 (or Galaxy Watch) will launch with Bixby support from the get-go. Thankfully, the Gear S4 won't have a dedicated Bixby button, and the virtual assistant will instead substitute the current S Voice feature found on Samsung wearables. According to the report, Bixby will be accessible both via the home button on the Gear S4, as well as by saying "Hi, Bixby." The Samsung Gear S4 is shaping up as one of the most exciting smartwatches of the year, and with Bixby 2.0 expected to debut alongside the Galaxy Note 9 early next month, it may have some interesting, AI-flavored surprises in store. Will be miles a head of s-voice which is brutal and essentially worthless. Besides Google pay, what apps are you using on a watch? It's good to know that software features are ready when you get the device, instead of having to wait months upon months for a software feature that will come "soon", according to the manufacturer, which has happened with other products. Good to know that Samsung is offering a complete and refined product from the first day. I also think the Gear S4 will be a great smartwatch, as it improves on the already great Gear S3, most noticeably in the battery department. Problem is that Samsung currently doesn’t offer a complete and refined product via the Gear line, because the lack of apps people want/need is a very real issue. Hopefully the next Gear will solve that with Googles help. You don't think they have the necessary apps that people want or need? What does the general consumer really need which Samsung's Tizen OS on the Gear smartwatches doesn't offer already? See above comments for answer to your question. S voice...LOL, first thing I DISABLED on my S3. Never could get it to work.